Amongst the lesser known historical monuments of Delhi lies a stupendous structure commonly known as Bhool Bhulaiya, the name for the tomb of Adam Khan. 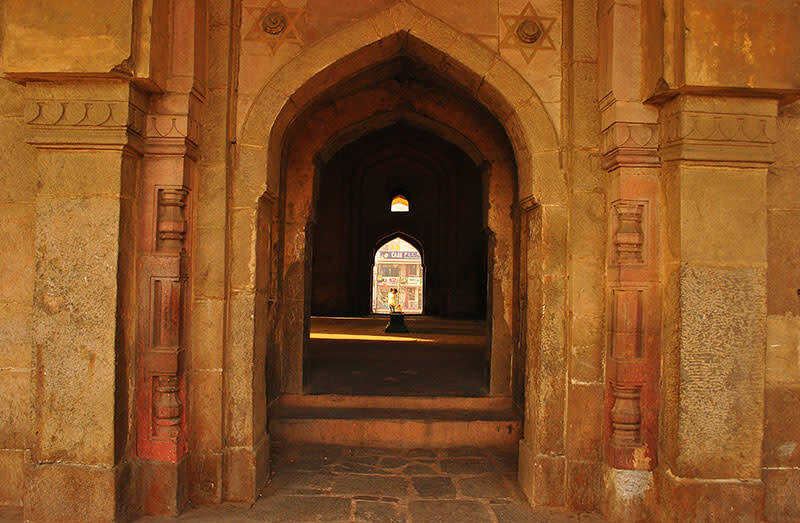 Located right behind the Qutub Minar in front of the Mehrauli bus stand, it’s often overshadowed by the former. However, this is one of the very few monuments still existing from the era of Akbar and a marvelous example of architectural excellence. The monument was constructed in 1562 AD after the death of Adam Khan who was a general in the Mughal Army and also, the son of Akbar’s wet nurse, Maham Anga. When he killed Ataga Khan, one of Akbar’s favourite generals, he was thrown from the top of Agra Fort twice which led to his mother having mental health issues. Thus, in the memory of Adam Khan and his mother, Akbar built this tomb. Legend has it that once a whole lot of baraatis (wedding attendees) who took refuge in the tomb got lost here. Although it sounds unbelievable that so many people could get lost in the tomb, the dense forests of Qila Rai Pithora (Lal Kot) surrounding this monument seems enough of a valid reason for so many people to disappear. The area is now said to be haunted by ghosts. The place is called Bhool Bhulaiya (a labyrinth) because of the structure of its corridors where one may lose one’s way. 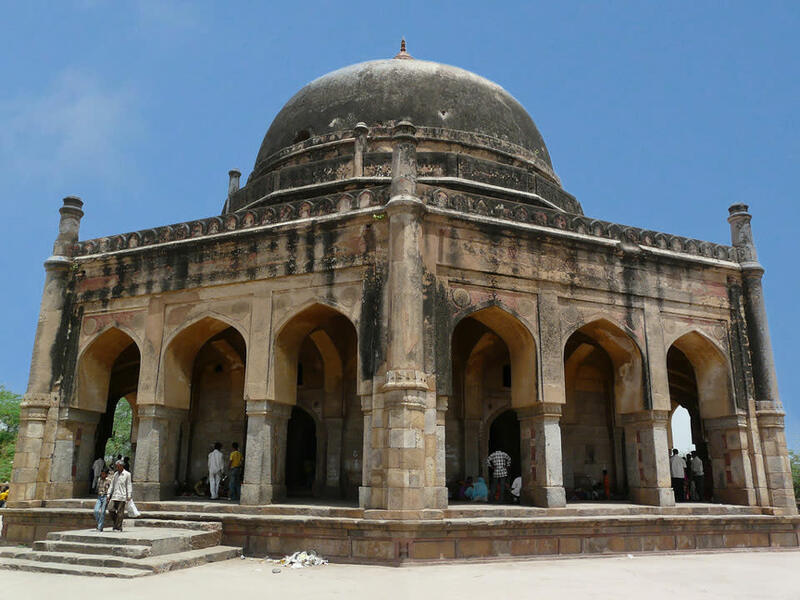 Built in Lodhi style architecture, the tomb is a five metres high octagonal structure with small minarets on each of its eight sides. It is built of grey sandstone whereas the dome that surmounts it is built of red sandstone. The central hall contains the restored tomb of Adam Khan since the original one was destroyed. The structure also houses the tomb of Adam Khan’s mother, but its location is now unknown. The tombs of Adam Khan and his mother also got destroyed when the monument was converted into the residence of a Britisher named Blake under British rule in India. Blake was a member of the Bengal Civil Service. Later, it was also converted into a police station, post office and even a rest house. Finally, Lord Curzon got the tomb vacated and restored. 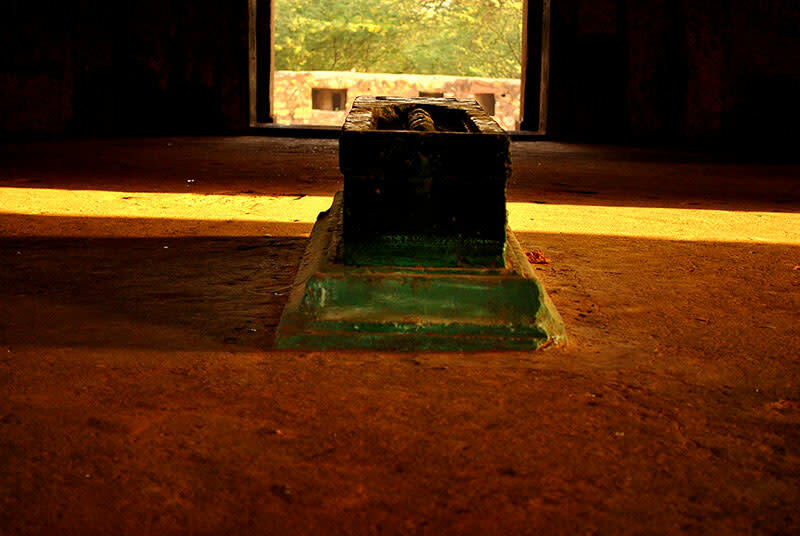 At the tomb, one finds a calm and peaceful atmosphere although not many people wish to visit the fort. You may only find there homeless beggars, stray dogs, jobless people, old men and women or a bunch of addicts. One can have a beautiful view of the neighbouring Qutub Minar as well from this tomb. The structure also looks onto a bazaar and a bus terminal; the parts of the historic district of Mehrauli that seem least historic. One can easily reach here as it lies next to the Mehrauli bus stand. Reaching by metro is also convenient enough - thanks to the nearby Qutub Minar Metro Station. There is free entry here at any time - from morning to evening. Come witness this architectural marvel when you crave some peace of mind and your wandering soul is begging for some food for thought!